The Keyboarder is designed to enclose and enhance all of your keyboard applications, with rounded front and rear covers and a 12 degree front slope for optimum efficiency and simplicity of use. 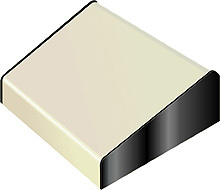 ""KB-7 base keyboarder is adequate for most applications. 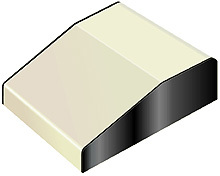 KB-10 keyboarder has a 3inch straight section in rear to allow for additional components. Cover fastens to base with machine screws and pem nuts for ease of assembly, disassembly and long wear. Base metal is .080 aluminum, painted semi-gloss black. Cover metal is .050 aluminum, painted a finely textured off-white. Four flat self-adhesive rubber feet supplied with the painted only.